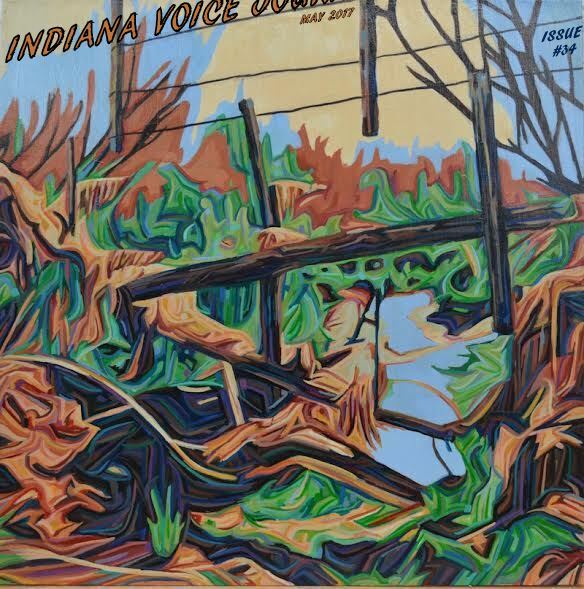 Welcome to the 34th issue of Indiana Voice Journal. Three poems by Sarah Henry: "Angel," "The Mexican Chair," and "Brownout"
Four Poems by Cydney Clouse: "Home", "Her", "Broken Bottle", and "I Am the Sun"
Four Ekphrastic Poems by Michael Lee Johnson: "Everything Red for the Queen", "The March of the Emperor Penguins", "Whispers from the Grave", "Mount Pleasant Cemetery (V2)"
Three poems by David Lohrey: Hyphen for Me", "Attacking China", and "Someone"
Two Poems by Edilson Afonso ferreira: Dear few Friends" and Nostalgia"
Three Poems by James Dennis Casey IV: "Unbridled Birds", "Singular Universal Being", and "Talking to Myself in Public"
Three Poems by Joe Gianotti: ":Beans and rice for Lunch", "Daedulus, Cunning Worker", and "Clothespin"
Three Poems by Lois Greene Stone: "Ribbons and Spools", "Pants Suit", and "Phi Beta Kappa: 14K Standard"
Three Poems by Milton Montague: "a funny bird", "magic of poetry", and "she loves me"
Three Poems by Nan Friedley: "Hand Me Down", "In the Center of the House", and "Unfinished Basement"
Two poems by Shelley Converse-Rath: "Was You" and "You Always Leave"
Personal Essay by Lois Greene Stone: "Cardboard and Canvas"
Novel Excerpt by Colin Dodds: "Watershed"
Cydney Clouse is a twenty year old from Inidnapolis, Ind., with a passion for writing, but never having enough courage to share it. You can either find her on Tumbler at Sincerely-Cydney posting nightly using #CydClo, or eating Sherbet ice cream… probably both. Michael Lee Johnson is a poet, editor, publisher, freelance writer, amateur photographer, small business owner in Itasca, Illinois. He has been published in more than 915 small press magazines in 27 countries, and he edits 10 poetry sites. His author's website is at: http://poetryman.mysite.com/. Michael is the author of several chapbooks of poetry and has more than 108 poetry videos on YouTube (https://www.youtube.com/user/poetrymanusa/videos). He has been nominated two Pushcart Prizes and Best of the Net 2016. He is also the editor/publisher of anthology, Moonlight Dreamers of Yellow Haze, available at Amazon. A second anthology, Dandelion in a Vase of Roses, Editor Michael Lee Johnson, is available on Amazon. David Lohrey grew up in Memphis. His poetry can be found in Otoliths, Sentinel Literary Quarterly, Easy Street and Quarterday. In addition, recent poems have been anthologized by the University of Alabama (Dewpoint), Illinois State University (Obsidian) and Michigan State University (The Offbeat). Work can also be found in The Stony Thursday Book (Limerick) and Hidden Channel Zine (Mall Sligo). David is a member of the Sudden Denouement Literary Collective in Houston. Recent fiction can be read in Crack the Spine, Brilliant Flash Fiction and inshadesmag.com. He teaches in Tokyo. David Rodriguez is a writer and teacher with an MFA from Florida State University. He has previously been published in the New Orleans Review, The Southeast Review, Poetry Pacific, The Literateur, and The Double Dealer Redux, among other places. Edilson Afonso Ferreira, 73, is a Brazilian poet who writes in English rather than Portuguese. His poetry has appeared in Right Hand Pointing, The Lake, Spirit Fire Review, Young Ravens, Indiana Voice Journal, Creative Talents Unleashed, Algebra of Owls and others. Ferreira lives in a small town with his wife, three sons and a granddaughter and, unhurried, is trying to publish his first Poetry Book. He began to write at age 67, after retirement as a Bank Manager. He was nominated for The Pushcart Prize in 2016. Faleeha Hassan is a poet, teacher, editor, and writer born in Najaf, Iraq, in 1967. She now lives in the United States. She is the first woman to write poetry specifially for the children in Iraq and was part of the feminist movement in the holy city of Najaf. She is considered one of Iraq's most celebrated poets and her work has been heavily awarded and translated into dozens of languages. She has a master's degree in Arabic literature, and published sixteen collections of poetry in Arabic. Hassan emigrated to the US in 2012 after her books of poetry landed her on "death lists" published by radicals. Her poems and short stories have been published in several American magazines, such as The Galway Review, Words Without Borders, Scarlet Leaf Review, and the Inner Child press. The Guardian published this interview of Hassan in 2016: https://www.theguardian.com/world/video/2016/oct/04/faleeha-hassan-iraqi-maya-angelou-refugee-us-video. James D. Casey IV is a published author of two poetry books: "Metaphorically Esoteric"’ & "Dark Days Inside the Light While Drunk on Wine." He is also working on his third under the title “Tin Foil Hats & Hadacol Coins” that is expected to be published within the next few months. Mr. Casey’s writings have been published in international ezines and on several websites. Poetry Life & Times, Artvilla, Realistic Poetry International, and Poetry Super Highway have him listed in their poet archives as well. You can find links to his books, social network profiles, and other projects on his website at http://louisianakingcasey.wixsite.com/big-skull-poetry. Three Poems by Joe Gianotti: "Beans and rice for Lunch", "Daedulus, Cunning Worker", and "Clothespin"
Joe Gianotti grew up in Whiting, Indiana, an industrial city five minutes from Chicago. He currently teaches English at Lowell High School. He is a proud contributor to Volume II of "This is Poetry: The Midwest Poets." Among other poets, he represented Northwest Indiana in the 2014 Five Corners Poetry Readings. His work has been published in Blotterature, The Chaffey Review, Folly, Mouse Tales, Steam Ticket: A Third Coast Review, This, Yes Poetry, and other places. You can follow him on Twitter at @jgianotti10. Milt Montague was born and raised in New York in the 1920’s, fought in world war ll, graduated as an engineer, was in several businesses, found love, marriage, raised three lovely daughters, while pursuing a career, with his wife, in high fashion ladies clothing. He has recorded many tales from a long and busy life, all true. So far, 15 of his memoirs and 118 of his poems have been published in under 4 years. Nan Friedley was born in Huntington, Indiana, but spent most of her formative years in the Fort Wayne area. She graduated from New Haven High School and received a BA and MS degree from Ball State University in the area of Special Education/Deaf Education. She retired from a 30-year teaching career in Indiana and California. She has published a poetry collection related to teaching special kids called "Short Bus Ride" by BadKneePress. Her poetry has appeared in the Inlandia Institute's Anthology, "Orangelandia," and PushPenPress. Shelley Converse-Rath attended Whittier College and graduated in 2010 with a major in English and a minor in Sociology. She is an active member of Sigma Tau Delta and Alpha Kappa Delta. She was the President of the Creative Writing Society at Indiana State University, where she received her Master's in English and was a Teaching Assistant for the English Department. She was also Editor-in-Chief of Indiana State University's Allusions Magazine. Carlos Franco-Ruiz (°1987, Managua, Nicaragua) is an artist who mainly works with painting. In 1988, as the civil war was winding down his parents immigrated to Miami, FL. He graduated with a Bachelor of Fine Arts at the University of Miami in 2011. In 2013, he moved to Uruguay and continues to follow his passion for painting where he recently had a group exhibition "La Mirada del otro" at Museo de las Migraciones to showcase his latest body of work. Currently lives and works in Sauce, Uruguay. Mumbai-based, Sunil Sharma is a widely-published Indian critic, poet, literary interviewer, editor, translator, essayist, freelance journalist and fiction writer. He has already published 14 books: four collections of poetry, two of short fiction, one novel, one a critical study of the novel and co-edited six anthologies on prose, poetry and criticism. His six short stories and the novel Minotaur were earlier prescribed for the undergraduate classes under the Post-colonial Studies, Clayton University, Georgia, USA. He is a recipient of the UK-based Destiny Poets’ inaugural Poet of the Year award---2012. Another milestone is that his poems were published in the prestigious UN project: Happiness: The Delight-Tree: An Anthology of Contemporary International Poetry, in the year 2015. DC Diamondopolous is an award-winning short story and flash fiction writer published worldwide. DC’s short stories have appeared in online literary magazines: Antioch University’s Lunch Ticket, Fiction on the Web, Eskimo Pie, Five on the Fifth, Five 2 One and many more. DC’s stories are also in print anthologies: Crab Fat Lit, Blue Crow and Scarborough Fair. DC won second place in the University of Toronto’s Literary Contest for 2016 for the short story, Taps, and won two Soul Making-Keats honorary mentions in 2014 for the short stories,The Bell Tower and Taps. Novel Excerpt by Colin Dodds: "Watershed-after the second World Trade Center was destroyed"
Colin Dodds is the author of four books, Another Broken Wizard, WINDFALL, The Last Bad Job, and Watershed. His writing has appeared in more than two hundred publications, and been nominated for the Pushcart Prize and the Best of the Net Anthology. Colin’s book-length poem That Happy Captive was a finalist for the Trio House Press Louise Bogan Award as well as the 42 Miles Press Poetry Award in 2015. His his screenplay, Refreshment, was named a semi-finalist in the 2010 American Zoetrope Contest. Colin lives in Brooklyn, New York, with his wife and daughter. See more of his work at thecolindodds.com. We are currently closed to submissions. 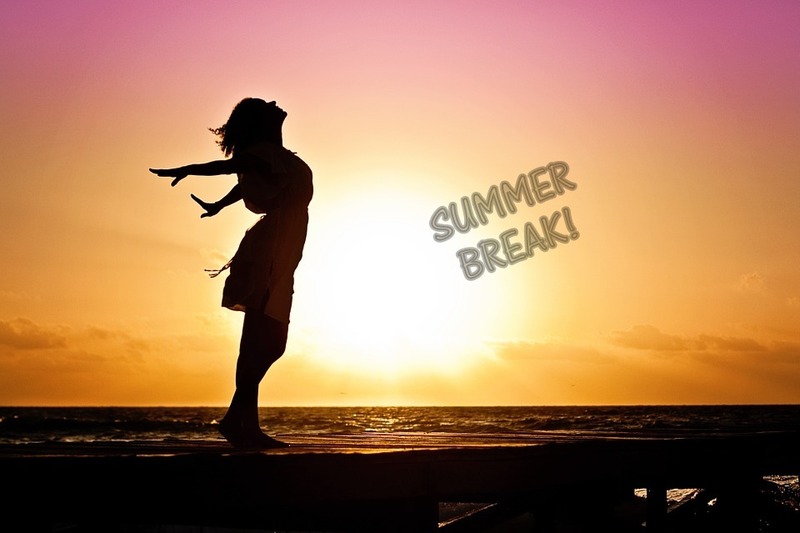 We hope everyone has a great summer. See you in September! We will announce when we are reading again for the September/October issue.